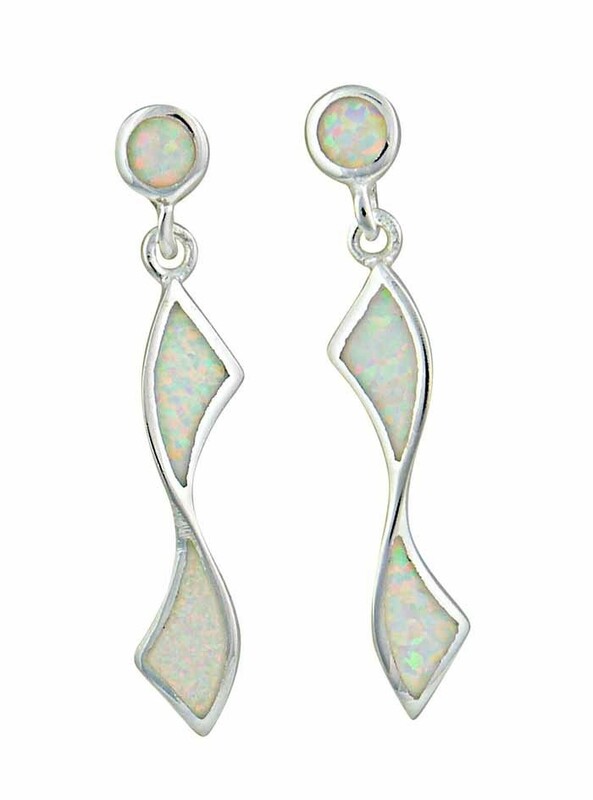 These twisted silver drop earrings have a unique beauty. 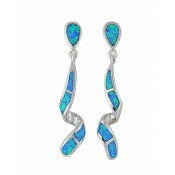 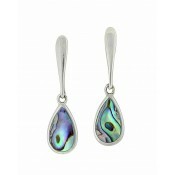 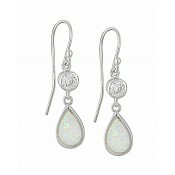 They have been set with slithers of white lab opal which shimmers in rich colour underneath the light. 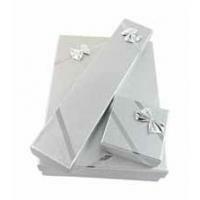 The gentle stud and butterfly fitting allows for comfort as well as undeniable style.